Antionette S from Petoskey, MI does not recommend this vacation rental. Pictures are better than the actual room. safe's didn't work, washer was broken (did get fixed while we were there, but these things should get checked out prior to guests arrival so they are not inconveniences. Overall, we had a wonderful stay. The rooms were very clean and the location was excellent. Getting into our rooms was rough. We could not check in until 4 and we had a rehearsal dinner to get to, so definitely check in the day BEFORE you have any plans in Key West. We had a noise complaint one night, so if you like to sit outside after 10pm and are loud talkers, this may be an issue. The only other issue were keys. As I said, check in was a little chaotic. We had two rooms & I requested keys for all of the adults, 5 in our room & 6 in the other. Our room turned in 5 keys and the other room turned in 6 keys but they were charged $25 for a missing key. The person my friend spoke to said she turned in 5 for her room & 1 for our room. That was a mistake. We received 11 keys at check in and turned in 11 keys at check out. Not a big concern but a suggestion to the staff... perhaps an inventory of # of cups, glasses, ect. One room did not have any coffee cups. One only had 3 glasses. The condo was perfect! We normally stay in the same hotel every time, but wanted a kitchen this time! It was very clean and it had everything we needed! We will for sure book here in May when we go back down! The property description was accurate, the location was great, the property was clean and spacious, Ashley was a huge help with setting up events/activities, and I would definitely recommend it! Lisa F from St. Louis, MO does not recommend this vacation rental. We thoroughly enjoyed our stay in KW, stay was 12/28 through 1/4 - we booked a 2 bedroom condo through VRBO. I was a immediately contacted by Key West Vacation Propertieis - it is very confusing, especially when it came to the trip insurance, etc. I purchased insurance through VRBO - only to be told it would not be accepted by Key West Vacation Properties. While we enjoyed our stay I was very disappointed in the condo. The floors were filthy, the kitchen was far from fully stocked, the condo needed lots of attention to say the least. My next disapppointment was on New Years Eve. We planned a night around the pool, grilling steaks and playing games. Much to our dismay, the entire area was taken over by a large group - they had the grill area blocked by their group and then proceeded to have a karaoke night.... I am not upset they were having a party - I just wish we would have known in advance so we could have made other plans..... posting a sign would have been helpful. 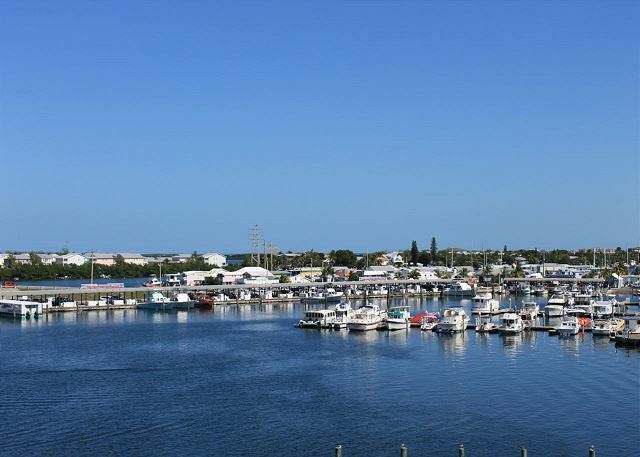 Ashley was very helpful whenever I asked questions or needed assistance prior to or during our stay; however, I will say the one referral to Garrison Marina is a poor choice - Patrick is an very poor business man and runs a shoddy Marina. Everything was great except there needs to be an additional ice machine. We barely had enough to ice for our drink coolers, very frustrating! Key West is my hometown, but I have not lived there in over 30 years. We were in town for my dad's funeral so it was a very difficult time for us, but Jamie and Ashley made everything easy for us. The condo was beautiful and very clean. We visit the island a couple times a year and stay different places. 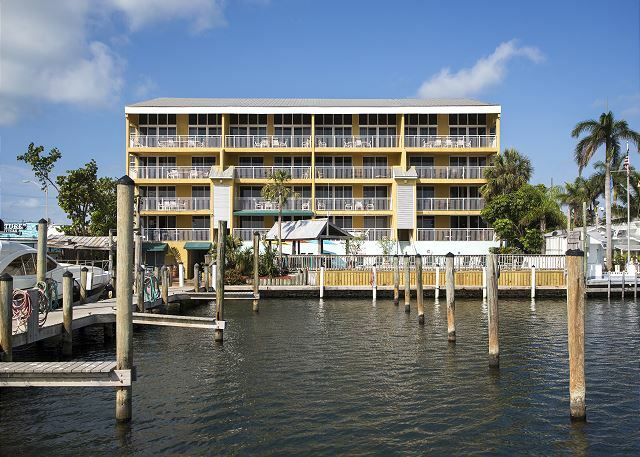 We found pelican landing to be extremely convenient for sightseeing and restaurants. The furniture was a little dated but the price was affordable. We will most likely stay again. This was a nice place to stay. The deck was a great place to have coffee in the morning and a glass of wine in the evening. Room was outstanding. Two very large rooms with bathrooms. Kitchen area was also outstanding. Washer and Dryer was great to have. Dock slip/pool area very nice. Could not have asked for a better facility. Only problem I had was a misunderstanding with property manager. This could have been solved by just saying there was a misunderstanding reference boat slips. Instead, property manager called me a liar. As a 60 year old person, who worked in an area of customer relations, I do not think you solve a misunderstanding buy calling the customer a liar. With that being said, I would still recommend this facility to all my friends. Once again, the room and facilities were outstanding. Price very reasonable. Great !! the location, the Unit, the Staff everyone and everything was wonderful. If your a fisherman this is the place for you really nice set up we rented a 2 bed room apartment had a 35 foot slip with the unit everything you need is there, Free ice free bait freezer tiki bar and gills by the pool so you can cook your catch. 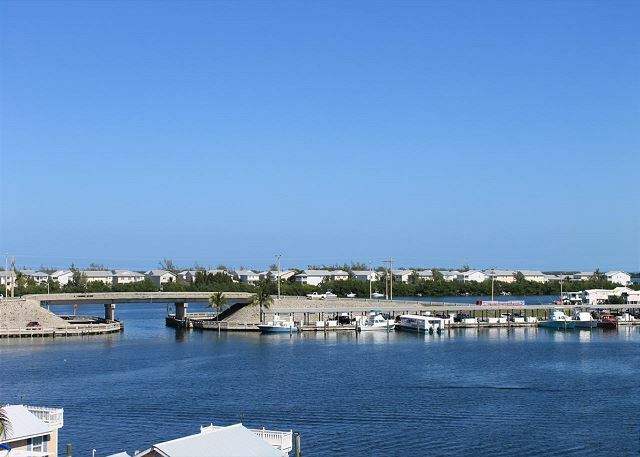 We would highly recommend this location to anyone coming to Key west to fish with there own boat. stay there again but this time take our traveling box. We enjoying cooking our daily catch. The boating accommodations seemed very good. Although we charter a boat, I would be very happy if I were to bring my boat. Great place to stay for family fun in Key West. We recently stayed in Pelican Landing's Curacao Retreat and had a great time. The facilities were well maintained and met all of of our expectations. 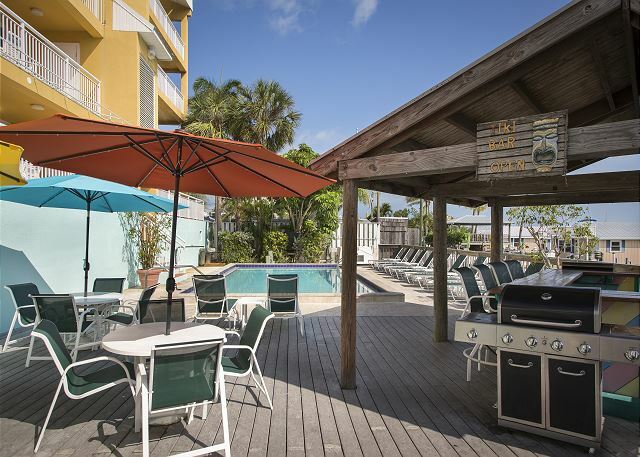 Just over a half mile from Duval Street and walking distance to many restaurants, bars and attractions. The management team provided excellent service. I would definitely recommend this facility to anyone considering a Key West vacation. We were very pleased with the location, the management, and the cleanliness of our unit. We used the grill and found it to be clean and in good condition. The pool is cleaned spotlessly every morning, but the birds tend to come and drink from it, leaving feathers in the pool and excrement around it. Use it early. Although this place is not located near the Duval Street, it is in the walking distance. The price is affordable for multiple days stay. The property is clean and you can cook yourself. Great stay for two couples!!! It was a fantastic pick. Great location, friendly people and the view from the balcony was breathtaking! I would definitely recommend Pelican Landing. We loved the location of this condo! We had four children in our group and they loved seeing all the fish coming in at the marina. It was never crowded by the pool, and everyone was very nice. This was our second time in Key West. First time with kids and we would absolutely stay here again! Curacao had a great view of the harbor. Dock and fish cleaning statation were great. Loved the place! It had the best views! Perfect location! It was truly a home away from home. We didn't want to leave! Will definitely stay in this place in the future. And recommend it to everyone! We stayed there for few days with kids, nothing went wrong. Good location. Great place in Key west. Nice marina good location. Clean Room balcony over looking Garrison Bite. Good spot to say for Fishing and Divibg trip. also not Far from duval street. We visited Key West as part of a 10 day vacation to Florida. We found the rental to be in a very good location and close to many things. It was a very spacious unit and was very good for 2 couples. The view was very nice and was an added feature I did not expect. However, the unit needed updates that could improve the condition. Fresh paint and some TLC could go along way to making it more attractive. Accommodations were great. Management was friendly and helpful. Nice price point for location. Great balcony view! The unit was clean and spacious. Good value in Key West. The minor issues were no wine corkscrew and the safe placed on the floor was awkward with poor instructions for se. Otherwise pleasant experience. Had a great time. 2nd time using Pelican Landing. Access to pool, grill, and balcony. Not far from Duval. Thank you. The ciracau retreat was better than expected. I enjoyed the dock privelage and it was nice havibg the launch ramp 1 minute down the street. Garrison Bite Marina has all the live or frozen bait you could want. Overall it was a great fishing and diving trip. We made a lot of friends telling fish stories at the pool every afternoon. Great location and great property. Was very happy and will definitely stay here again. 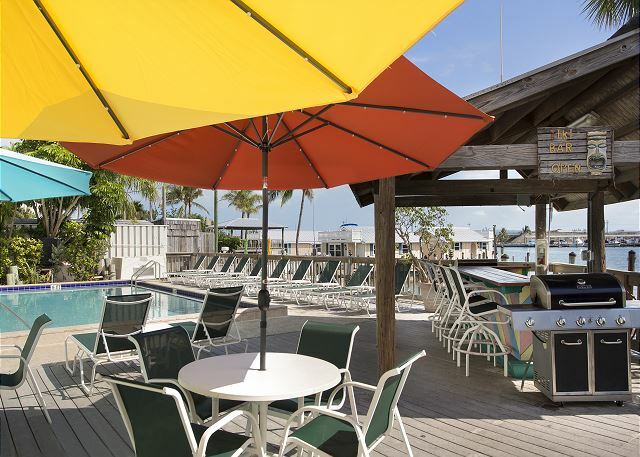 The property is a great choice for families visiting Key West. 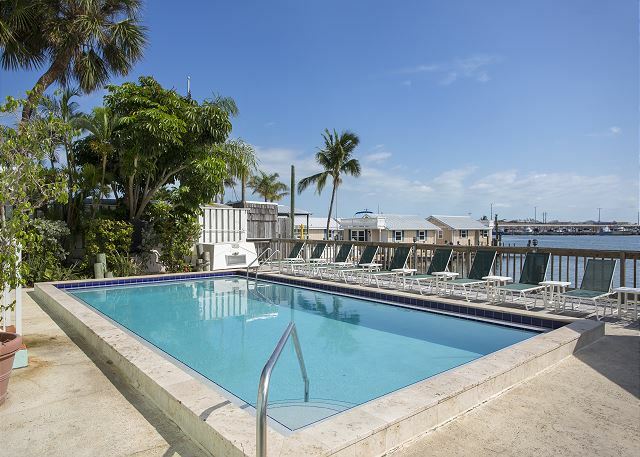 If you are looking for a place that has space to accommodate your family and want to be within walking distance of all that Key West offers, this is a great choice. 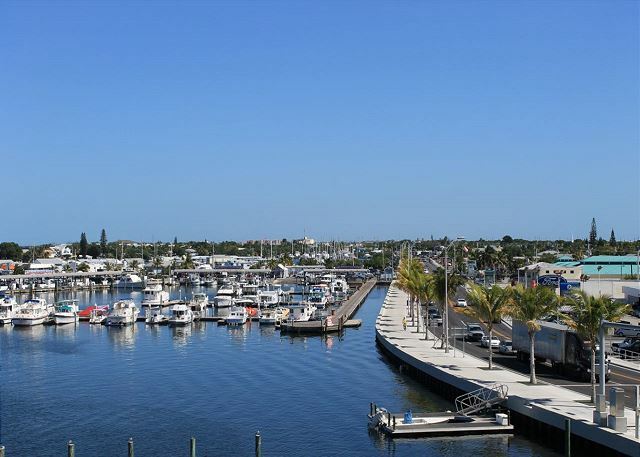 The condo offers a great patio overlooking the harbor offering great views of the sunrise. We will definitely stay here again when visiting Key West with family or friends. Evertything was great. A little further from Duval than it appeared on the site but a short taxi ride. Pool equipment sounded in need of repair, made sitting on patio and pool a little less enjoyable due to the terrible noise from the machine, otherwise great property. Best place to stay in Key West. We were very happy with everything about the room and its location. I would highly recommend this property to anyone. The location was close to main attractions. Our two bedroom, 2 bath was furnished nicely, clean, plenty of room and a large balcony. The outdoor lounge area is a very small bar with a few stools and unattended and no restaurant on the grounds. We stayed just after prime season, I probably wouldn't pay the cost during prime season. Construction throughout the night, however we can't blame the realty company. Overall a nice place. We had a Great stay for 2 days. Wish we could have stayed for a wk. We will be back! We enjoyed our stay. 8 people for a few nights and it was just as described. The location is a bit out of the main drag - about a 10 minute walk - but right next to the fishing piers. 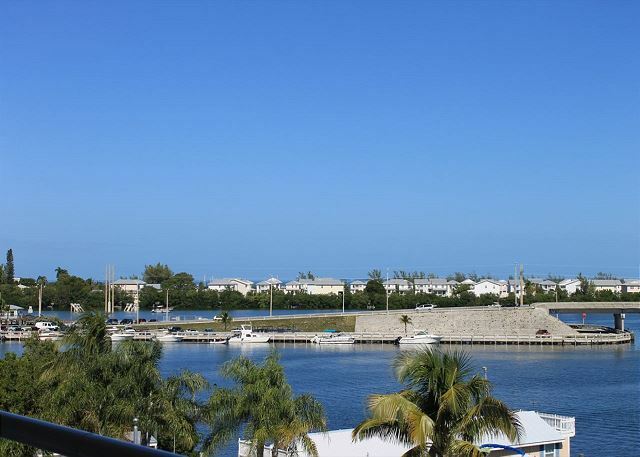 Clean, has TV, full kitchen, balcony overlooking the pool and harbor. Was a great choice, nice place, clean and safe. When I go back to Key West I should stay in the same place. the property is in a very convenient location for anything you want to do. The condo was furnished nicely. We liked it very much. Hello Diane, Glad you enjoyed your stay, hope to see you and your family again soon. We especially enjoyed the view of the harbor and the heated pool. Coffee pot with coffee packs was much appreciated since we forgot to bring some. Hello janet, Glad you enjoyed your stay, hope to see you and your family again soon. Called last minute and they were very accomodating. The price was very fair and the unit was clean and roomy. Your Staff is outstanding! Made our stay stress free! The condo was better equiped than most kitchens! We enjoyed our stay and would stay again. The manager was professional and booked us another room when our original one got double booked in error. One time the elevator wouldn't move after the door closed. We tried several times and finally used the stairs. There was one noisy hour in the middle of the night when someone couldn't get in their room...yelling and pounding on the door. Since there is no one on sight to call we waited it out. We enjoyed the balcony, the pelicans and the spacious accommodations. Comfortable condo for the four of us, loved the deck for reading and eating, watched the Super Bowl and played Bridge inside, good location for bike riding and tennis,annoying sirens during the day and middle of the night due to closeby fire station. Cleaning crew kept the whole place nice, inside and out. Nice unit, great view and easy access for all boating. Nice rooms, beds, colors, furniture, pool, & dock. Only recommendation would be to spend a little extra for simple maintainance such as new lighting diffusers, occasional quirky light switch. Overall a great place...will definitely stay again! Our keys weren't left in the 'after hours' check-in location. But once we got someone on the phone, they were brought to us quickly and with sincere aplogies. Good dockage and cleaning station and it's great to be able to see the boat from your balcony. Furnishings weren't great, but it was VERY clean and roomy. A couple nights we had to endure loud guests out by the pool until the early hours...but it was a holiday week and the management tried to be helpful. About a mile from Duval, so close enough for most people to walk anywhere they might want to go. Not much immediate grass for pets, but right across the street from a large park. Overall a wonderful option, especially if you have a boat and a pet! Great location & loved the boat slip access. Will definitely stay again!! Loved this place! We were able to dock our boat in the slip below and it was easy access launching it at the marina right next door. We also brought our bicycles and was able to park our truck for our entire stay and ride our bikes everywhere. It's only 1 mile from Duval which was amazing! The condo was bigger than we expected and loved the view as well. The only downfall to the condo was the level of noise at night. You could hear every time someone used the elevator, flushed a toilet, used the shower, and people coming and going. Did not sleep good at all. But, if that doesn't bother you, this is a great place to stay and I can't wait to come back! I had a very good time at Pelican Landing. The rooms were in good condition and the amenities were very nice. I would stay there again. great place! was very surprised. very spacious and modern. nice view! A very enjoyable stay in top quality accommadation, thank you.